Draft New Rules on Geological Information in Ukraine: New Hope, or the Empire Strikes Back? In all kinds of literature, the search fortreasure is an important part of the plot representing, inter alia, a simple moral: a great deal of human effort is required to get the ultimate reward. Unfortunately, in the oil and gas and mining sectors it often does not work that way, especially in Ukraine. Substantial areas of land may be surveyed with no, too little, or only too hard to produce reserves found. Surveying land is not only often fruitless but also costly. According to statistics published by Shell1, the median costs of oil and gas exploration incurred by the oil and gas giant are approximately 25% of the cost of development of its fields. Exploration is thus an important part of the upstream and the data received on the basis of the geological survey — dubbed “geological information” under Ukrainian law — is a valuable resource in itself. 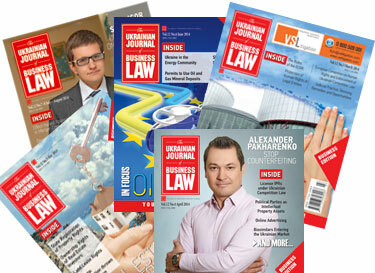 The prevailing legal regulation of geological information in Ukraine does not meet current needs and correspond to the strategy of Ukraine for higher production of natural resources2, and thus, the need for better regulation is well understood within the Ukrainian government. The Cabinet of Ministers of Ukraine recently announced a new Draft Resolution On the Procedure of Use of Geological Information (Draft New Rules). 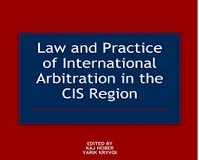 In this paper the authors will (a) briefly analyze the current legal framework on geological information; then (b) elaborate on the changes proposed by the Draft New Rules and, finally, (c) discuss whether the changes amount to an effective updating of legal regulation. For almost 70 years, Ukraine was part of the Soviet Union, which managed all aspects of the economy. In 1950s-1960s when the production of natural resources was multiplying rapidly3, Ukrainian subsoil was actively surveyed by Soviet authorities, which acquired large amounts of data, including on the structure of subsoils, deposited geological minerals and conditions for their development. After Ukraine gained its independence in 1991, the newly sovereign state had to determine what to do with this data and how to regulate the accumulation of new data. At that time, it decided to stick to the past. The Ukrainian Subsoil Code is largely silent on the regulation of geological information, noting, inter alia, that the rules are therefore to be determined by the Cabinet of Ministers of Ukraine4. The Rules for the Procedure of Disposal of Geological Data (Old Rules) were adopted by the Resolution of the Cabinet of Ministers of Ukraine No. 423 in 1995 shortly after the Subsoil Code (1994). — No legal entity or individual can sell geological information without approval of the SGS5. — No reasonable and detailed procedure for purchase of geological information that belongs to the state6, which holds a lot of such data since Soviet times. The relevant provisions include only the list of required documents to be addressed to the Head of the SGS and the mostly ignored month-long deadline7 for receiving such a permit, meaning that obtaining such a permit can take months. — Besides, this procedure has not been followed in practice and has “high corruption risks”, as was acknowledged by the Government8. Instead, there is an obscure procedure, at the end of which there is a risk of not getting any geological information at all9. — There in no public register of geological information. The sharing of responsibilities related to the disposal of geological information is also unhelpful and breeds additional bureaucracy. If a legal entity or individual wants to know whether certain geological information is available it needs to send a request to Geoinform, if it later wants to buy it, it needs to go to SGS10. Establishing a one-stop shop out of Geoinform or SGS would be less cumbersome both for the state authorities and those they are serving. By contrast, the Draft New Rules seem more fit for modernity. They establish a clearer legal status of geological information, importantly noting that it is an object of civil relations11. In other words, the geological information will be subject to a regular stream of commerce in Ukraine. Its definition takes into account all the aspects of the geological survey and establishes a distinction between primary and secondary geological information12, though both are rather indicators of better drafting and were never serious issues per se. A single catalogue of geological information to be managed by Geoinform will be created13. Under the Draft New Rules, the owners of geological information will no longer need a permit to dispose of the geological information they own, a simple notification will suffice14. then the requesting party has 30 days to pay the invoice and receives such information within 10 days of such payment15. The whole procedure should not take more than 2-3 months. At the same time, the Draft New Rules has some issues. In particular, the Draft New Rules diffuse the power of overseeing the disposal of geological information to two state bodies. On the one hand, Geoinform is designated as the keeper of the register of geological information. On the other hand, the Ministry of Nature sells it. This does not play well with the recommendations of foreign experts on SGS reform16. The recommendations envision a new better-structured SGS instead of today’s sprawling state monster with a new more-slimmed down role to be determined together by the state, SGS and other parties in future. Primary information (i.e. raw unanalyzed results of initial surveys) remains free for state entities and enterprises17. However, it is clearly stated in the Draft New Rules that such information cannot be alienated for the benefit of third parties. However, in case a subsoil license is annulled or expires, the geological information relating to the corresponding subsoil area becomes public after three years from the date of annulment (or expiration)18. Albeit the intent of the drafters was likely noble, this provision seems unfair to the previous owners. As rightfully noted by the American Chamber of Commerce in Ukraine19, the new owners buy the geological information and also supplement it with new data received in the process of production. Publishing such geological information without any compensation whatsoever seems unreasonable. The Draft New Rules are a major improvement on prevailing legal regulations in Ukraine providing for a more market-friendly information-age vision of geological information. 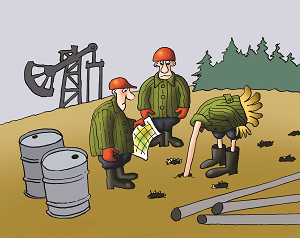 A new understanding of geological information as a resource in itself, which can be traded freely and used extensively for attraction of more investment into Ukraine, is beneficial for all oil and gas market participants, except for crooks and useless bureaucrats. Other goals should be pursued for the Light Side of energy market in Ukraine finally to prevail. For example, creation of a competitive retail gas market, implementation of corporate reform and privatization of state enterprises and further steps in the direction of establishment of a truly independent and respected energy regulator — all in compliance with the Energy Community Treaty20. Luke Skywalker, who in Ukraine is a not a single hero, but a collective of responsible statesmen, NGOs, concerned citizens and enterprises needs to make another critical hit (or multiple small ones) to finally destroy that Death Star and create a new modern legal regime for geological information. In any case, the Draft New Rules are definitely a step forward in otherwise still problematic legal regulation of the production of natural resources in Ukraine, where the absence of authorization by municipal authorities of new production fields leads to no production at all. At the same time, some enemies have been defeated. The new liberal rents for gas production and the newly-adopted transparency rules in the extraction industry are prime examples. We hope that movement in this positive direction will continue. 1 Shell Investment Handbook 2012-2016, Oil and Gas Exploration and Development Costs Incurred. 2 Cabinet of Ministers Decree of 18 August 2017 No.605-p On the Adoption of 2035 Energy Strategy of Ukraine "Security, energy efficiency, competitiveness", p.12. 4 Article 39 of the Subsoil Code of Ukraine. 5 Article 4, 10,11 of the Old Rules. 6 For the unreasonable procedure, see Articles 7 and 9 of the Old Geological Information Rules. 7 Article 9 and 11 of the Old Rules. 8 Explanatory Note to the Draft New Rules. 10 Article 7 and 9 of the Old Rules. 11 Article 3 of the Draft New Rules. 12 Article 2 of the Draft New Rules. 13 Articles 4 and 5 of the Draft New Rules. 14 Article 3 of the Draft New Rules. 15 Article 13 of the Draft New Rules. 16 For more information see, EuroGeoSurvey's Independent Assessment of the State Geological and Subsurface Survey of Ukraine. 17 Article 8 of the Draft New Rules. 18 Article 11 of the Draft New Rules. 19 Draft Chamber Position Paper regarding the Draft New Rules as circulated by the American Chamber of Commerce in Ukraine on 8 August 2018. 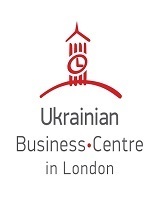 20 Ukraine is a contracting party to the Energy Community according to Article 1 (2) of the Protocol concerning the Accession of Ukraine to the EnCT dated 24 September 2010. As the Contracting Party to the Energy Community, Ukraine undertook obligations to implement EU acquis on energy and competition, i.e., the so-called Second and Third Energy Package involving a complex reform of the natural gas market in Ukraine.